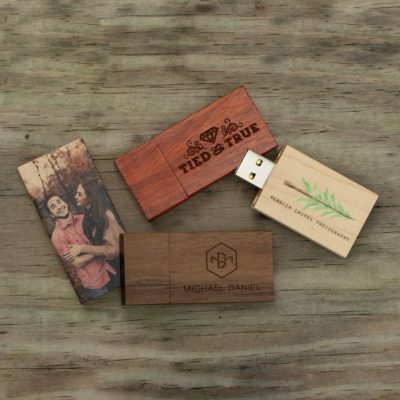 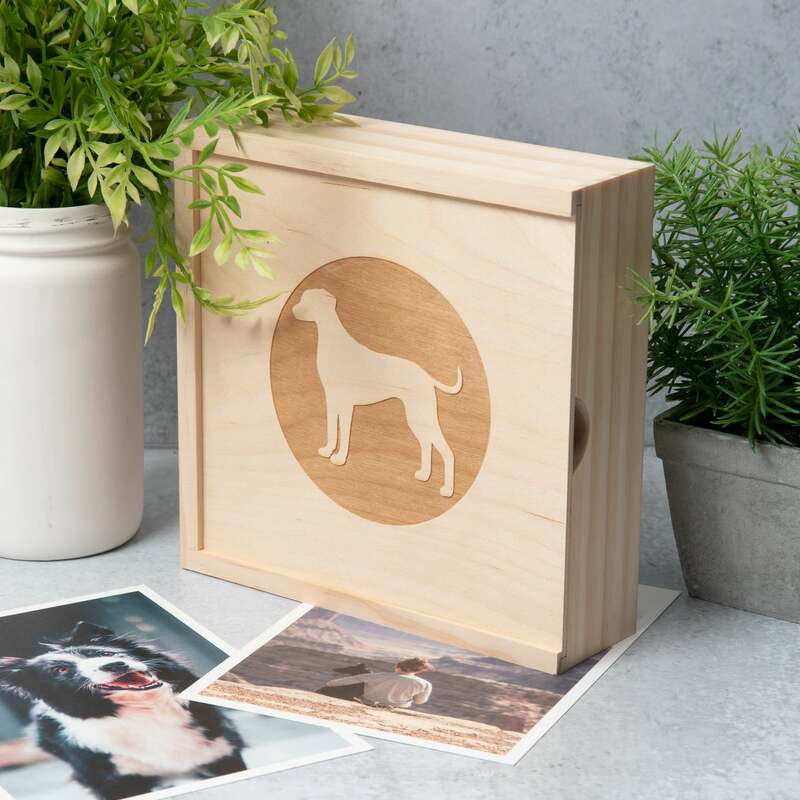 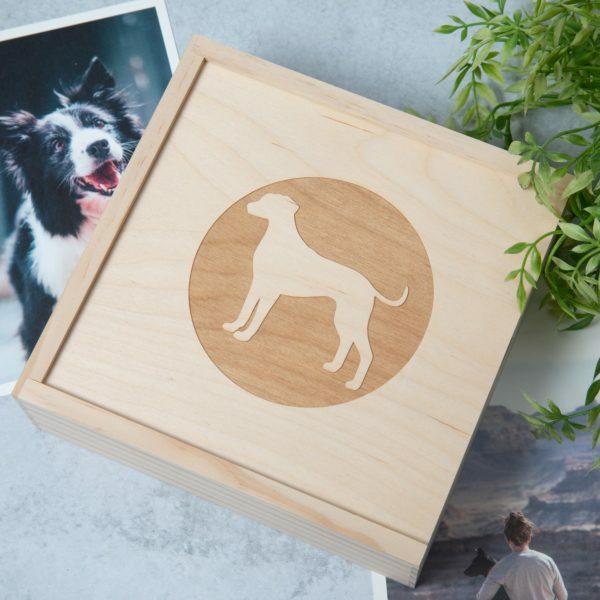 Your prints and flash drives will really stand out when placed in our Rustic Wood Slide Photo + Flash Box. 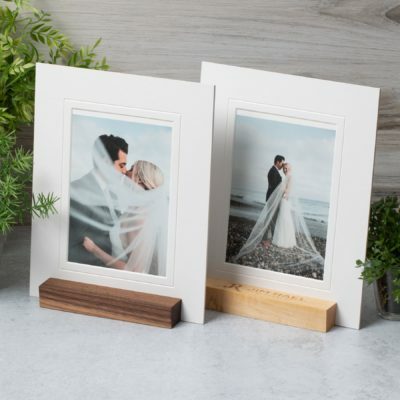 Our Rustic Wood Slide Photo + Flash Box, constructed entirely from rustic pinewood, offers a 1-2 punch for your image delivery needs. 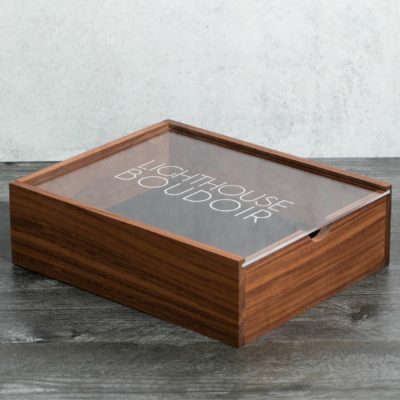 Not only is the physical box an ideal way to present your clients with their finished product, but the unvarnished color of the box will make its contents absolutely pop out to the viewer when the lid is removed. 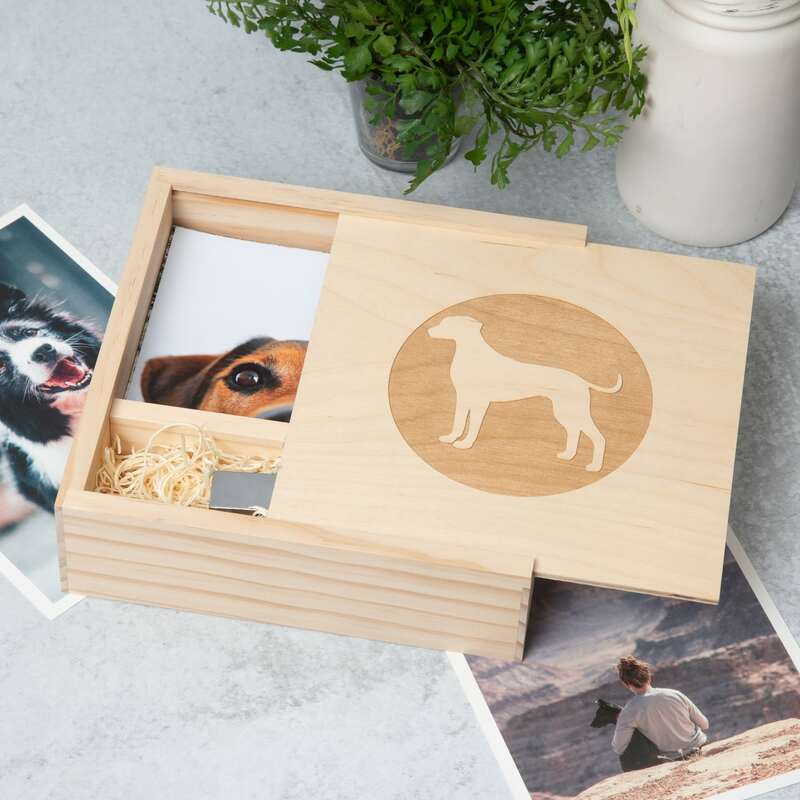 These boxes are available in 4×6, 5×5 and 5×7 sizes and can hold up to 400 prints (4×6, 5×5) in the dedicated print compartment. 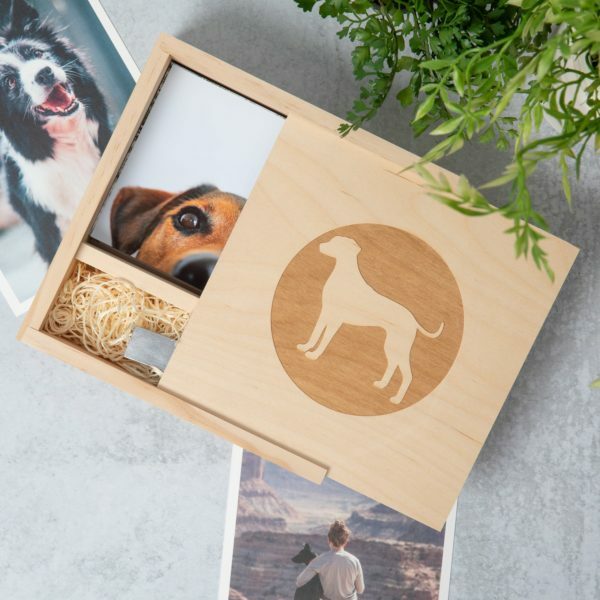 A length of brown ribbon is included with each box so the prints can be easily accessed and kept in a tidy bundle when placed into, or removed from the box. 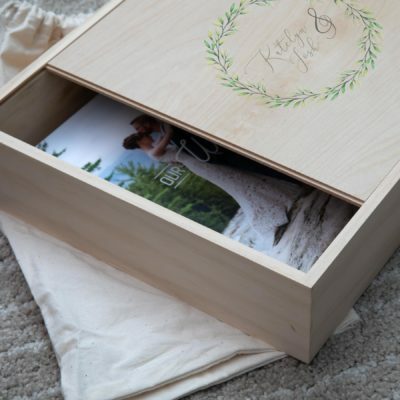 The smaller, adjacent inside compartment contains a bed of Aspen wood wool in order to provide cushioning for up to two flash drives that can be accommodated in the space. 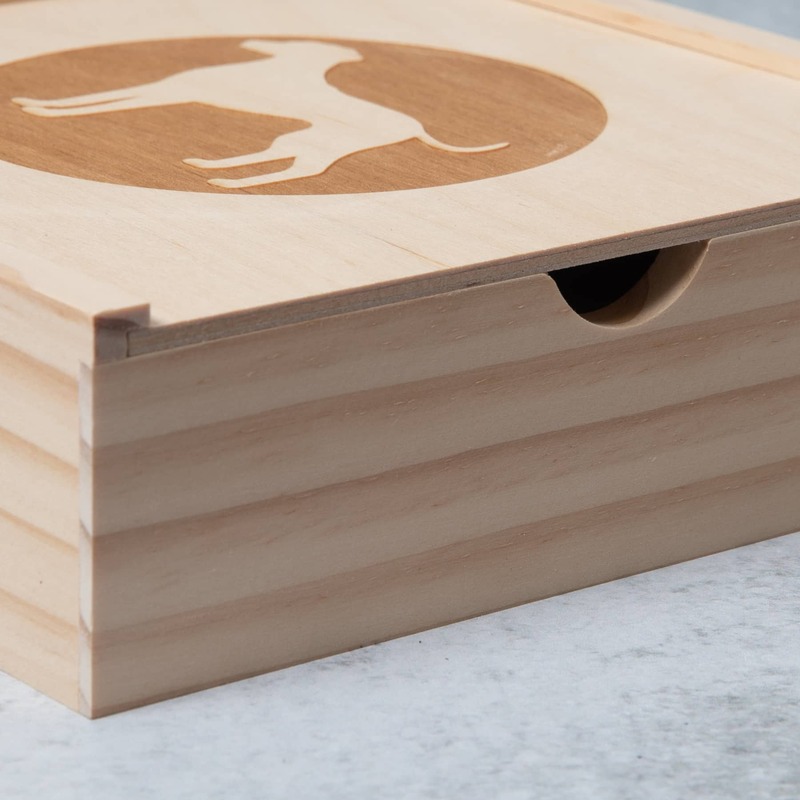 The fully removable lid opens and closes by sliding along a groove in the box top. Lids are available in wood and metal. 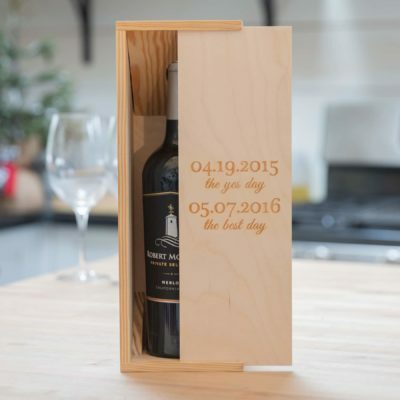 Customization of the lid is possible with either laser engraving (wood only) or full color printing.